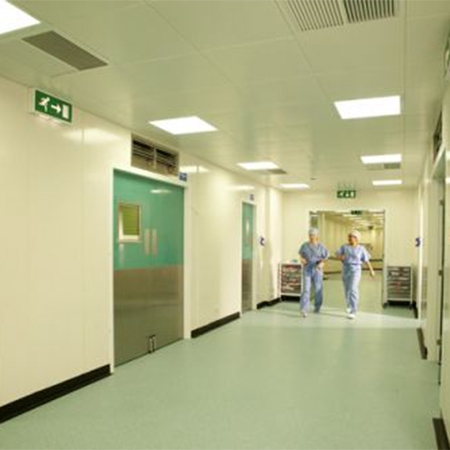 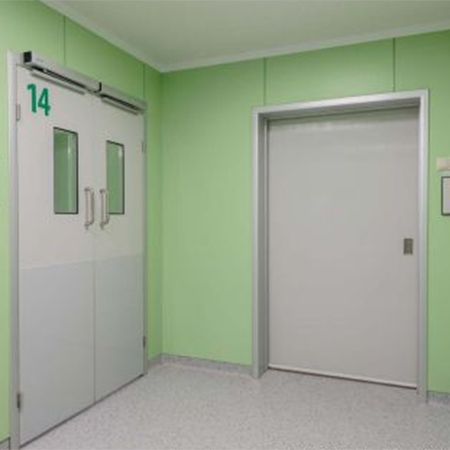 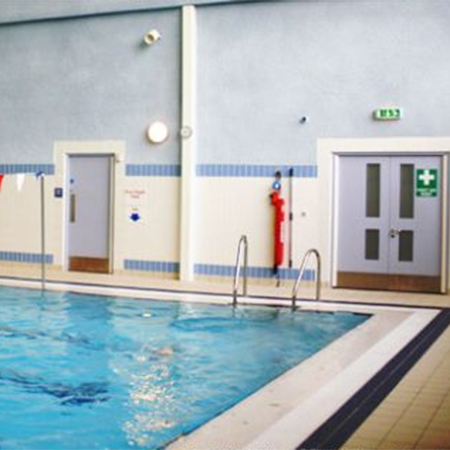 LAMI GRP doors have been designed to cater for internal premises that may require durability, hygiene and water resistance. 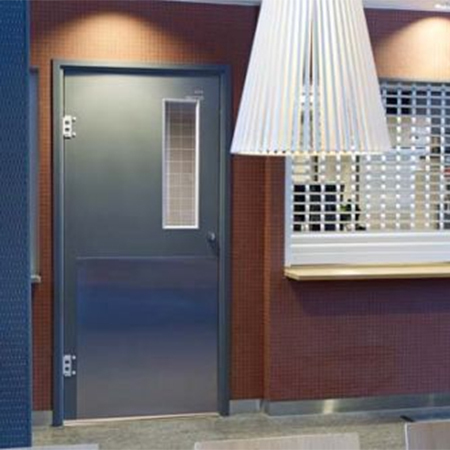 LAMI doors are all manufactured to the exacting standards of quality and design in their modern purpose built factory. 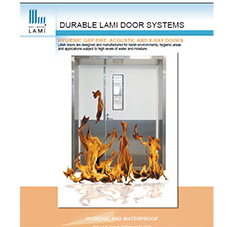 LAMI's manufacturing methods take into consideration future production needs and environmental issues. 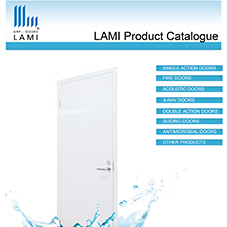 LAMI products are made from the highest quality raw materials and their in-house product development constantly follows the latest information on raw materials and production methods to adopt the latest technology. 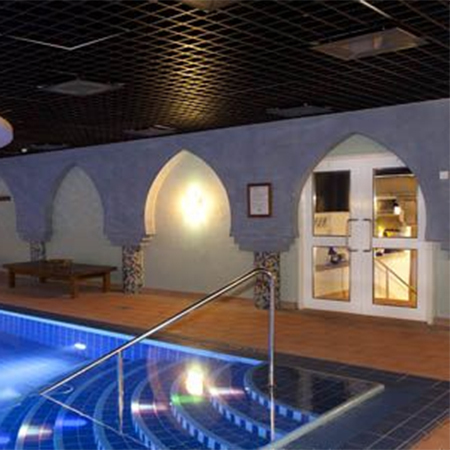 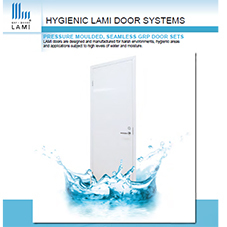 LAMI doors are manufactured using a pressure moulding process. 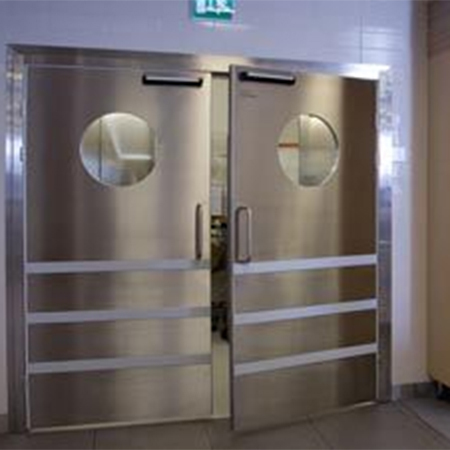 This process produces a door leaf that is completely seamless and has no joints or lippings. 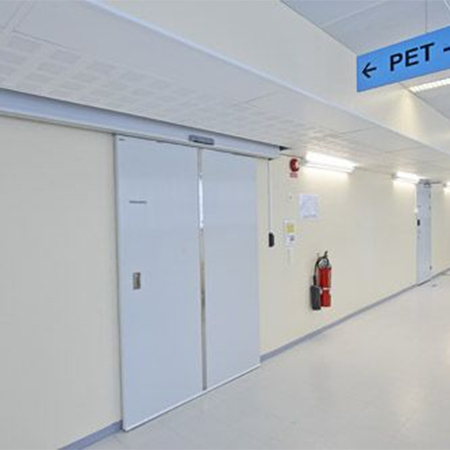 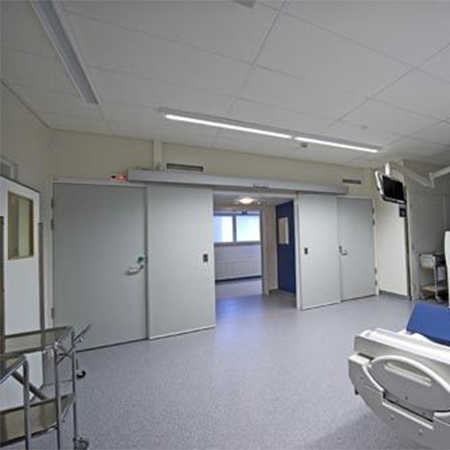 LAMI door selection includes LAMI Fire, Acoustic and X-Ray Doors as well as Standard Action and Double Action Doors.